How would English be different if the Normans had lost? Monty asks how English would be different if the Normans had lost at Hastings. 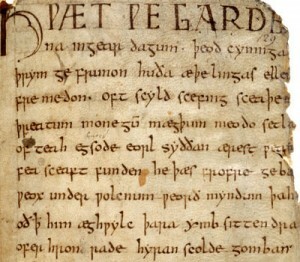 If you want a good idea of how different English was before the Normans, pick up a copy of Beowulf and try to read the original text. It’s a Germanic language that bears little apparent resemblance to the words you’re reading here. The temptation then is to say that it was the Norman Conquest which gave English its recognizable form. But here is where it gets interesting. Languages are living things and Anglo-Saxon was constantly evolving during the 7 centuries it was in use. There were Celtic influences, Norse influences, and even a bit of Latin from the clerics who converted the population. The Normans added a healthy mix of French but exactly how much is a matter of some debate. Depending on the expert you consult, you’ll hear that the percentage of English derived from Latin or French is 15%, 29%, or 50%. I asked a linguist how there could be such a huge discrepancy and she gave me an intriguing answer. In the first place nobody knows exactly how many English words there are. For example, are ‘run’, ‘running’, and ‘ran’ three different words or should they just count as one? Secondly, it makes a big difference if you’re counting ‘textbook’ words or words that are commonly spoken. 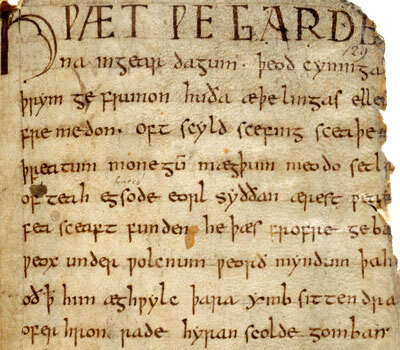 It turns out that the vast majority of our common words come from Old English while the ‘textbook’ words are more likely to be derived from Latin or French. So if you’re feeling blue and you describe yourself as ‘sad’, you’re using an Old English word, but if you say ‘I feel Lugubrious’ you’re using Latin. So what effect did the Norman Conquest have on the English language? Obviously it has had an impact over the last millennium- it would have been impossible not to. But I think it had less effect than most of us assume, and as far as our spoken tongue, less still. Those old Norman blue bloods are still perched at the upper crust of the language, but where most of us live in our day-to-day lives, we are surrounded mostly by Anglo-Saxons. To paraphrase the great historian David Howarth, ‘in the end the English really did conquer their conquerors’.